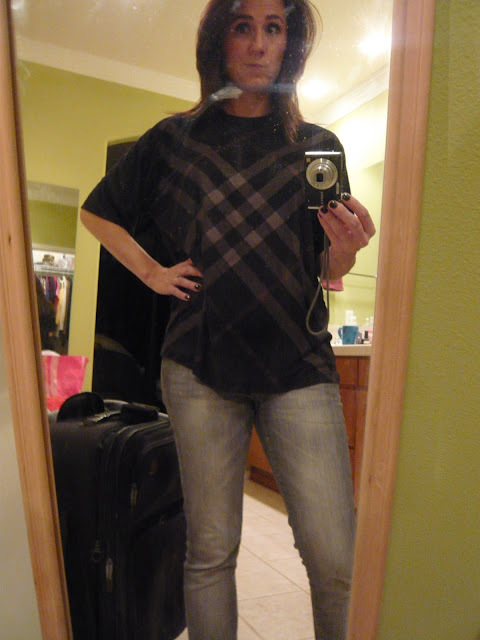 Last June I found on the clearance rack at my favorite thrift store an authentic Burberry tee. Oh, the combed cotton was so incredibly soft! And the traditional Burberry plaid? And... it was only one dollar. I KNOW!!! The issue was that it was a men's shirt... size XL... and the neck was so high I thought it was going to choke me! But I couldn't leave it there. I decided to bring it home and figure out how to make it work... because I knew it would come to me eventually. It sat in my closet until late October until I couldn't stand it anymore and had to take action. I took this pic shortly before performing surgery on this beloved shirt. I didn't want to mess with the lines of the plaid by cutting down into them. I also didn't want to remove the label... because it's freaking Burberry, people! 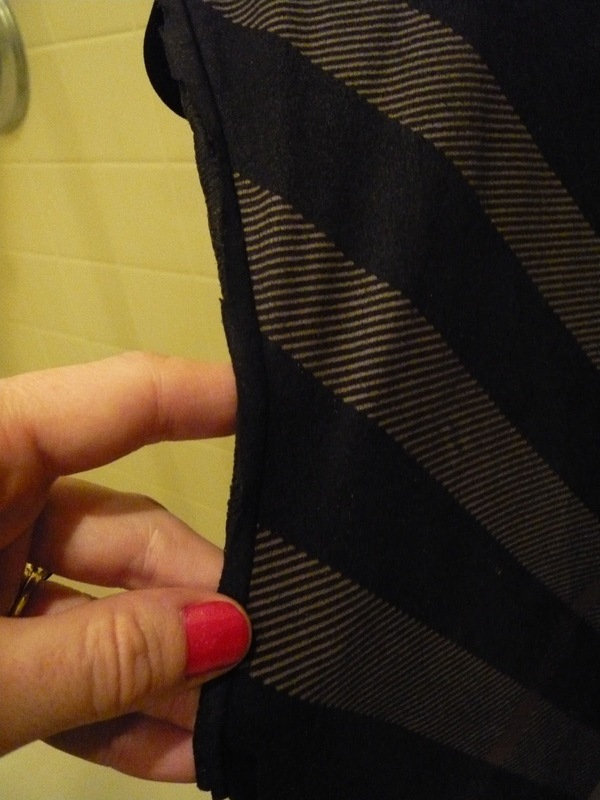 So I cut the sleeves off at the seams, and then cut the trim off the neck above the back seam. 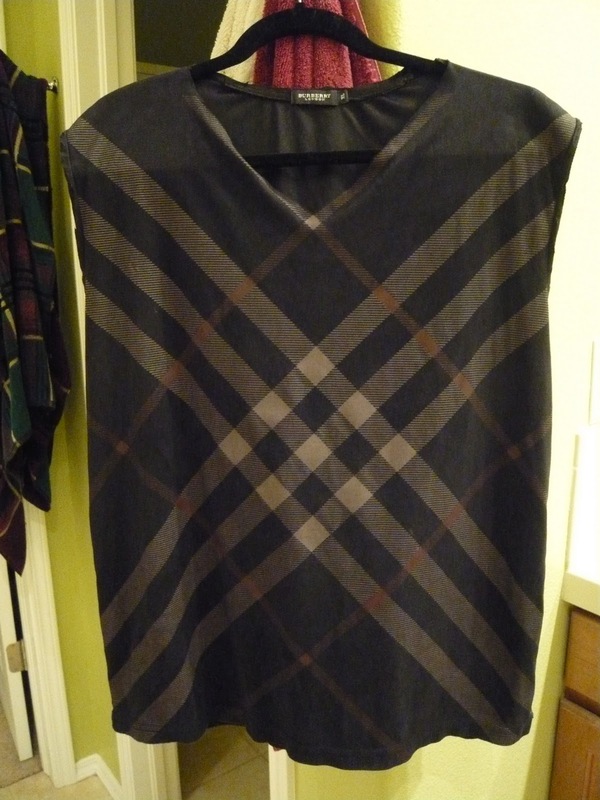 Then I angled the cut down at the shoulders, following the lines of the plaid and creating a v-neck. And, nope! I didn't sew a darn thing! I actually really like the raw edge that was resulted, so I'm leaving it like that. But, this shirt is seriously one of the. most. comfortable. fabrics. I've. ever. worn. ever. I don't know why it's former owner didn't want it anymore, but I'm sure glad they left it at the thrift store for me! It was originally marked $10. It must have been there for a while to be marked down to $1. 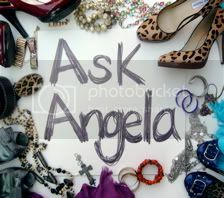 So, what is there that you've loved but passed on because you didn't know how to wear it? It was too big or too short or too boxy or had a hole? Think outside of the box and just make it work. I'll do a post in the next couple of days on how I wore this (and loved it) recently.